Q1: What technologies are you using as part of the leasing experience today? What new tech are you most excited about? Q2: Does anyone have stats on real usage of leasing/resident kiosks? Do people use them often, or are they more for flash? Q3: Any luck with Instagram video campaigns? Q4: Do you all this tech is helping the leasing process? Do we need less staff? More? How does new leasing tech affect operations? 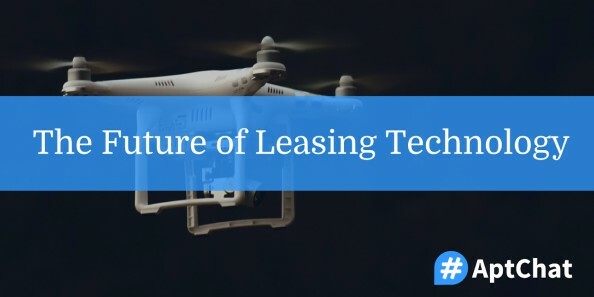 Q5: How can we stay current on leasing tech? How do we keep our on-site teams familiar with new tech, without it becoming a crutch? What technologies are you using as part of the leasing experience today? What new tech are you most excited about? Does anyone have stats on real usage of leasing/resident kiosks? Do people use them often, or are they more for flash? Any luck with Instagram video campaigns? Do you all this tech is helping the leasing process? Do we need less staff? More? How does new leasing tech affect operations? How can we stay current on leasing tech? How do we keep our on-site teams familiar with new tech, without it becoming a crutch? Our next #AptChat is slated for Tuesday, March 7, 2017 at 12 pm Eastern, and we’ll be discussing reputation management in 2017. In the meantime, be sure to sign up for #AptChat updates to get these recaps and more delivered straight to your inbox!